Caroline Weaver's favorite pencil is a 1950s Eagle Black Warrior. More our words than hers, she technically doesn’t have a favorite, but it’s the pencil she’d resurrect in The World According to Caroline Weaver (probably a book adaptation). It’s a writer’s pencil…the pencil writers put in the hands of their characters who are writers. She has one left. But she's not sweating it. Since she opened CW Pencil Enterprise in March, a Lower East Side reliquary of wood and graphite, Ms. Weaver has developed a knack for mining large veins of vintage (1980s and older) and discontinued pencils. Aging collectors and enthusiasts (mostly men) have been ringing her up, looking to hand down their expansive personal collections to a steward worthy and just as zealous about preaching the pencil gospel as they are. Aside from the collectible and rare, the shop has something for everyone. Neighborhood school girls with discerning taste pop by for supplies, curious passersby wander in off Forsyth street, and nostalgic thirty-somethings wonder at no. 2 pencils, sharpeners, and erasers. We enthusiastically discover an Emilia Braga composition book that immediately transports us back to high school chemistry. Founded in 1818, these iconic Portuguese notebooks have remained largely the same for nearly a century. It’s $26. A tiny 3 1/2” pencil that looks exactly like a cigarette (the 12 year-old boy inside us instantly wants a dozen), $1. A vintage 1960s Eberhard Faber Pink Pearl eraser, $2. 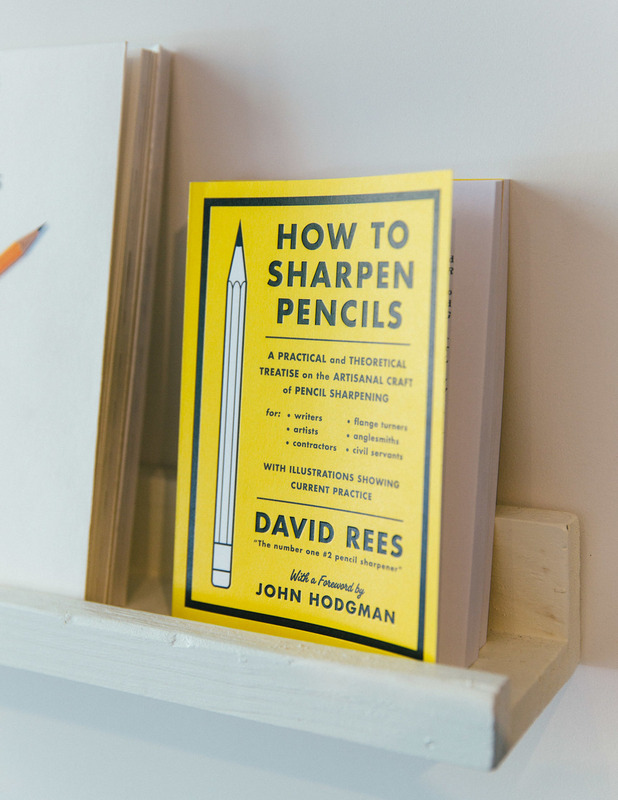 The most popular pencil in the shop? 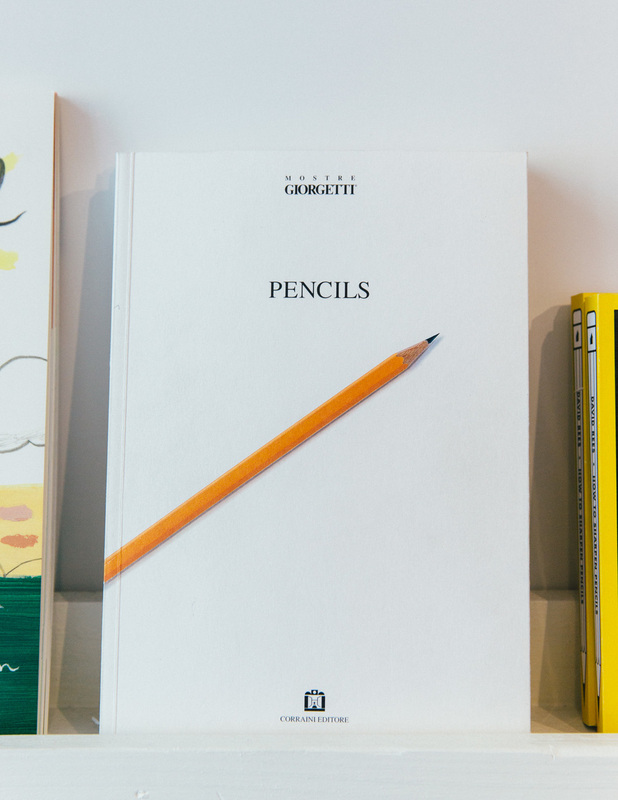 The Blackwing 602, which counts John Steinbeck, Vladimir Nabokov, Stephen Sondheim, Leonard Bernstein, and Truman Capote amongst its myriad of devotees, will set you back $50…or $2 for the current reproduction. How a pencil is made in the USA. Go ahead, test a pencil. Everyone's doing it. Caroline Weaver at her desk. The red curtain was one of the first design decisions for the shop she had made. Not simply an aesthete, Ms. Weaver is a monomaniac—an appellation she proudly wears on her sleeve, literally. A black Dixon Ticonderoga® sharpened three times, drawn to scale by her mother, graces the inside of her left forearm. On her tiny frame, it’s imposing. And it starts as many conversations about pencils as you think it would. Her mom was a messy designer whose work flooded every corner of the house. Growing up, pencils were everywhere…beautiful, gorgeous pencils. When her mother would travel, she’d bring Weaver back really nice ones. The most prized possession being a set of Caran d’Ache colored pencils in a little tin from a trip to Italy. Weaver still has them at home, barely used. “I like things that have a story,” Weaver says. “I just…I just like beautiful things.” Pencil in a visit. The middle schooler in you will be glad you did. 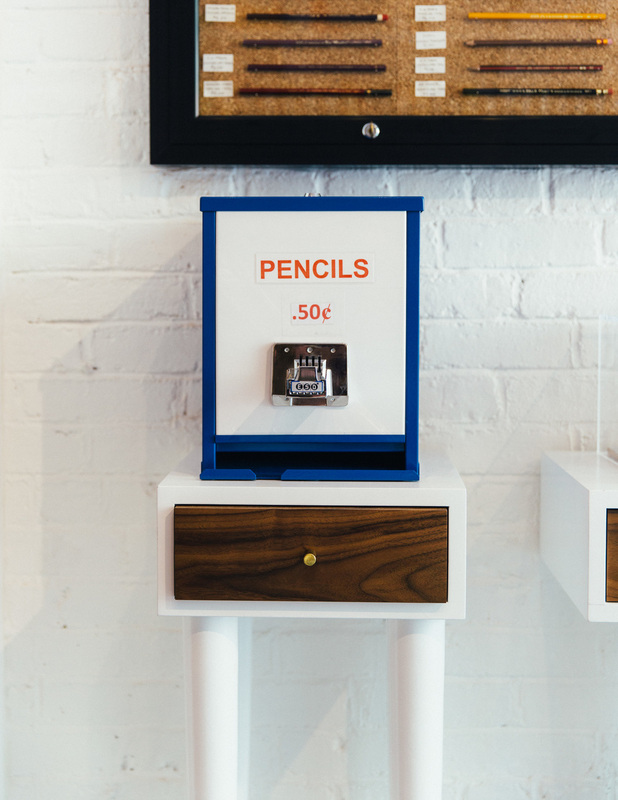 All of the rare and collectible pencils are kept under lock and key. A few go for over $50.